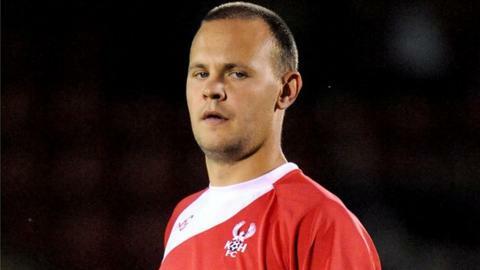 AFC Telford United have made defender Michael Briscoe their second signing of the summer, following his release by neighbours Kidderminster Harriers. The 28-year-old made more than 50 appearances for the Harriers after spells with Tamworth and Macclesfield. Manager Andy Sinton has already brought in utility man Luke Hubbins following his exit from Birmingham City. Telford have announced that they will stay part-time for the forthcoming season in the Blue Square Bet Premier.